Preshrunk hooded fleece available in both youth and adult sizes. Sweatshirt has long sleeves with banded cuffs, hem, and a kanga pocket. Charcoal grey with white and green 2-tone screened lettering. Made by Independent Trading Company. 55% cotton and 45% polyester. Preshrunk hooded fleece is available in both youth and adult sizes. Sweatshirt has long sleeves with banded cuffs, hem, and a kanga pocket. Navy with white screened lettering. Made by Independent Trading Company. 80% cotton and 20% polyester. Preshrunk classic fit crew-neck features Air Jet spun yarn for a softer feel without pilling. Set in sleeves, double needle stitching and athletic light grey with blue and green 2-tone screened lettering. Made by Gildan. 50% cotton and 50% polyester. Available in original gray and new navy. Rib knit collar and cuffs, twill-taped neck, set-in sleeves, dyed-to-match zipper, open hem. A stylish feminine fit with minimal shrinkage. Made by Sport Tek by Port Authority. Available in white and navy. White sweatshirt with navy embroidered stitching. Navy sweatshirt with white embroidered stitching. Unisex navy sweatpants are made of NuBlend pill-resistant fleece and have a covered elastic waistband with inside drawcord. Elastic bottom leg openings and side entry jersey-linked pockets. 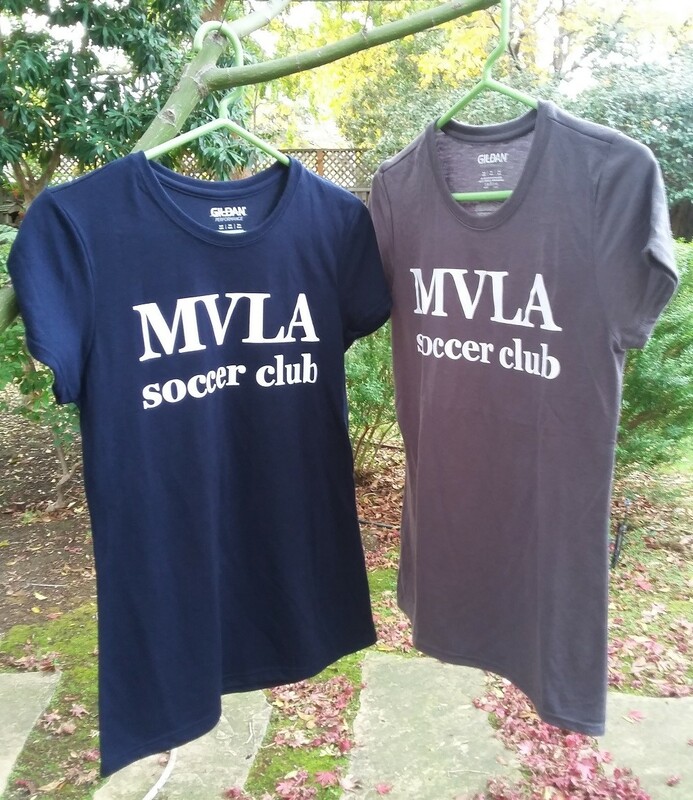 Navy with a white MVLA logo. Available in both adult and youth sizes. Made by Jerzees. This wool-feel 100% acrylic beanie will help keep you warm. Navy with white embroidered stitching. One size fits all. Fabric 100% cotton washed twill with adjustable velcro closure and sweatband. Made by Pot & Company. Navy with white lettering. White with navy lettering. One size fits most. Rib knit collar and cuffs, twill-taped neck, set-in sleeves, dyed-to-match zipper, open hem. A stylish feminine fit with minimal shrinkage. Made by sport Tek by Port Authority. Available in vintage heather. Vintage heather sweatshirt with white embroidered stitching. 60% cotton and 40% polyester. Performance long sleeve t-shirt with Aqua FX wicking and Freshcare anti-microbial properties is sure to be a favorite workout or every day t-shirt. Soft and comfortable with 3/4" rib-knit collar and double hemmed 5/8" sleeves and bottom hem. Made by Gildan. Available in charcoal, navy and white in youth, ladies and mens sizes. 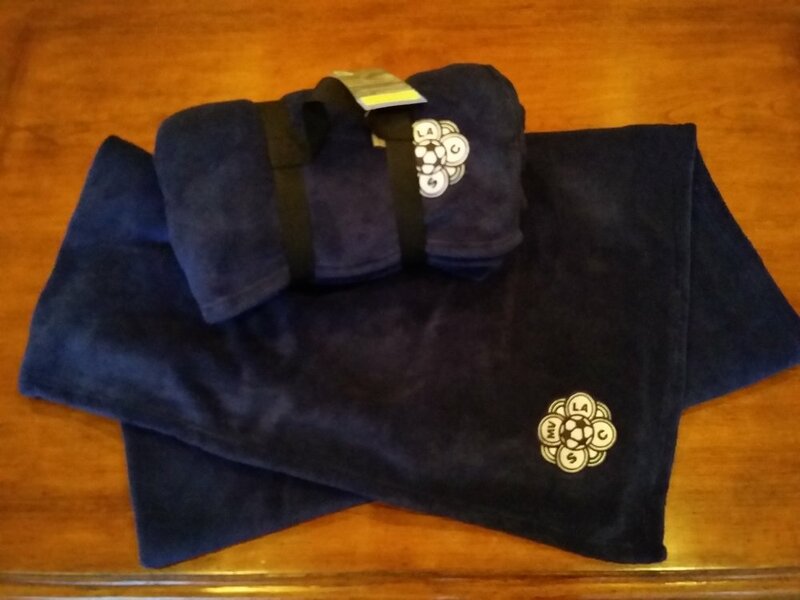 Warm, super soft and cozy 440 gram plush microfleece blanket by Colorado Timberline. Comes with nylon stadium carrying strap for easy carrying. 50"x60", navy with MVLA logo. R-tek stretch fleece for warmth and shape retention. With a touch of spandex for shape retention, this cool weather accessory keeps your ears covered and has plenty of room for your logo. An anti-pill finish delivers lasting wear. Made by Port Authority. Navy and white embroidered stitching. One size fits all. 95% polyester and 5% spandex. 3"x2" Sticker is see-through with white lettering. 4"x4" Static Cling Decal has full color logo and lettering, perfect for car window and can easily be removed, re-positioned and re-used. Gray fleece sweatpants with navy lettering. Available in both youth and adult sizes. Made by Jerzees. 50% cotton and 50% polyester. Performance short sleeve t-shirt with Aqua FX wicking and Freshcare anti-microbial properties is a favorite workout or every day t-shirt for those warmer days. Double-needle sleeves and hem. Made by Gildan. Available in charcoal in youth, ladies and men's sizes and and now in navy in ladies and men's sizes. 100% brushed cotton twill, unstructured low profile cap. Hidden tuck-in with hook and loop. A timeless design with a soft brushed feel. Made by Port Authority. Khaki and white with blue embroidered stitching and navy with white embroidered stitching. 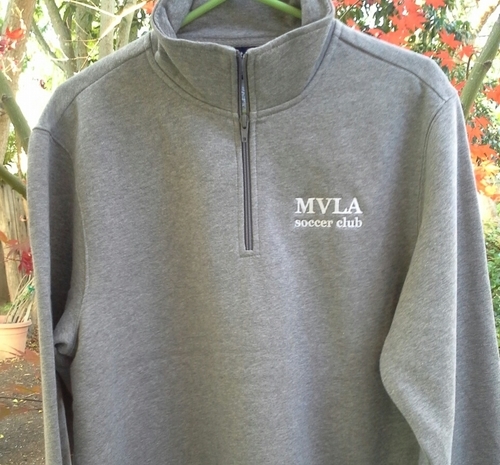 All with MVLA logo on side. Adjustable, one size fits all. Sportsman 100% Acrylic Rugby Scarf 69" x 7 1/4" - Navy with white MVLA Soccer Club embroidered letters.